Client in need of a machine capable of applying a silicone release coating, six coloured registered print, and a pressure sensitive adhesive coating to a plastic web in one operation. This needed to be accomplished while staying competitive and allowing for special order tape products. Directed the integration of the equipment along with installation and commissioning. Reduced tape processing time and material cost resulting in 20-30% cost reduction, increased print quality and variety of tape available to customers, and allowed for the capability of making more complex tape products. Medium sized manufacturer needed thick, fluffy non-woven materials supplied in a specific form to reduce shipping, capital and operating cost. Managed the final product/process development of entire packaging system: established final product design, specifications, operating windows, process procedures, training methods and quality systems. 25% reduction in shipping costs and 50% reduction in capital expenditures for end user, reduced packaging costs for client, and technology was sold for $25 million US after only 2 years development and ~$1.6 million US investment. 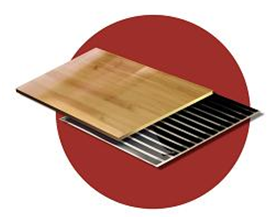 A small manufacturer of Geothermal Heat Pumps was not able to meet its demand nor its delivery times for product. With the expectation of doubling sales and increasing margin in the next year, increasing manufacturing staff was not a cost effective solution. RPA reviewed the product’s design and the manufacturing processes and noted that the Client was manufacturing as if every order was a custom order, with the product design being changed by anyone in the company. 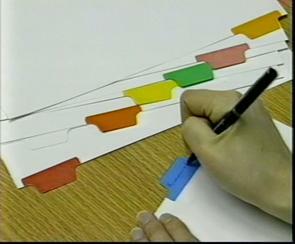 As there were neither drawings nor a complete bill of materials for the product, manufacturing staff had to work from memory and photographs. Working with the product’s designer and manufacturing staff, RPA contributed to the redesign of the product line; standardizing the product design with drawings and making it so that it could be easily mass produced in large quantities with available staff. 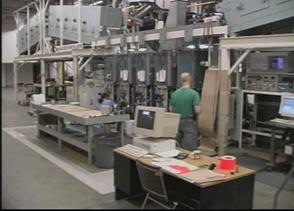 Manufacturing has doubled its output and 4x its capacity without the need of hiring additional staff. The new design is so flexible that it allows for the establishing of manufacturing production cells if product demand requires additional capacity. Drawings and bills of materials are established so the company has all the information needed to insure an efficient and cost effective supply of materials for manufacturing. An entrepreneur wanted an inexpensive plastic device that would prevent water from flooding a home in the instance where a domestic appliance connected to the water supply failed. I.e. toilet, washer, hot water tank. · RPA Engineering developed a patentable, injection moldable, automatic valve that would close the water supply to an appliance when the water flow exceeded a set amount with only one moving part and no electrical. · An initial proto-type was made for proof of concept. A second proto-type was designed so that a plastic value could manufacture in limited quintiles using machine tools for stimulating sales prior to investing in expensive dies required for injection molding. The entrepreneur was able to have working models of his idea to share with potential buyers or investors. Innovation and development of new products and processes can be difficult and costly unless we focus on those new products that have the highest chance of generating a return for our investment. 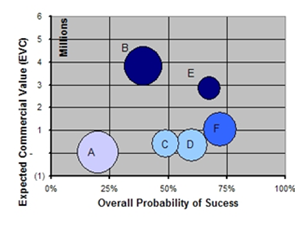 A medium sized company had more opportunities then resources for R&D. · RPA Engineering developed simple methods and tools to prioritize, manage and monitor their innovation and development projects, based on the ideas and teachings of Robert G. Copper, Donald G. Reinertsen, & Preston G. Smith in their respective books “Winning at New Products”, “Developing Products in Half the Time” & “The Design Factory”. · RPA created, a Stage & Gate process to create focus, a document system to store and retrieve what is learned and project portfolio reviews to keep everyone up to speed on development. The company was able to prioritize its development projects and better utilize its R&D resources, focusing them on the projects with the best chance for return. Small/medium sized manufacturer required specialty equipment to fulfill a market need to wind non-woven and elastic materials used in diapers into large spools to replace pancake rolls and facilitate longer run times on their client’s diaper manufacturing lines. · RPA designed and built proto-type winding equipment to prove concept and initiate sales. · Managed and directed the design, building, installation and commission of the world’s largest slitting and spool-winding machine for mass production once sales had been established. World’s largest spool winding machine brings in over $12 million US revenue per year, making up over 55% of all revenue generated at that site. Client in need of a stable process to make optically clear coloured film products used for the index tabbing market. · RPA investigated the capabilities and limitations of the existing equipment. · Designed new equipment and modified existing printing, laminating and winding equipment. · Then RPA fine tuned the process variables to developed an optically clear coated product and repeatable process for the tabbing market. New process resulted in securing of a $5 million per year sales account. An owner of a vinyl sign company had a great idea after having all his profit dissolve away when a customer having a vinyl sign wrap removed from their car found cut marks on the car’s paint. The marks were made during sign installation and the customer demanded reimbursement for the damage. The idea was to mount a thin but strong filament onto a tape, apply the tape to the vehicle where ever trimming would be required prior to wrapping the vehicle with printed vinyl. Then trim the printed vinyl by pulling the filament up through the vinyl, cutting it but leaving no chance for marking the vehicle finish. · Using the customer’s filament tape idea and through extensive material selection and testing RPA Engineering developed a patentable tape assembly that met all the requirements for vehicle vinyl wrap installation. 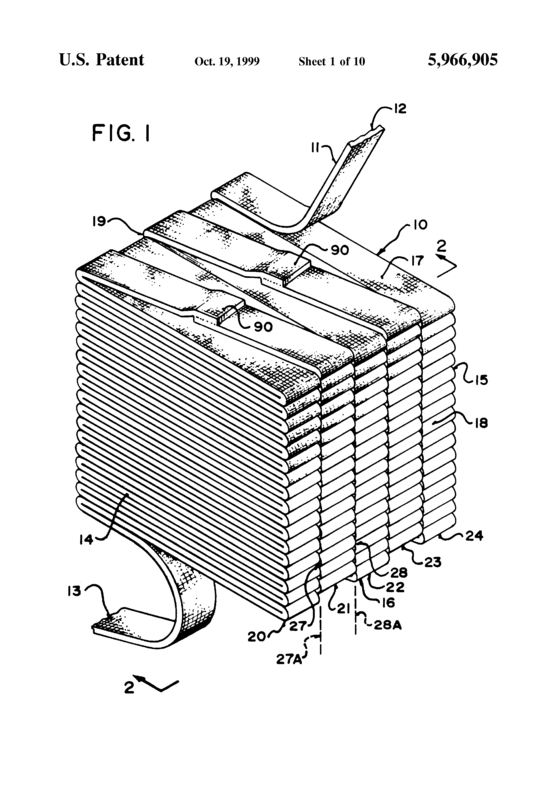 · RPA then created proto-type tape material that could be tested and evaluated by end users and potential distributors. · After favorable market feedback, RPA developed a manufacturing process, sourcing equipment and project managing the equipment installation and commissioning. 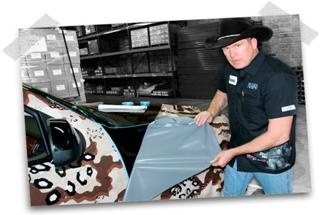 The owner of a vehicle wrap installation company, was able to create a new manufacturing company based on a new patented product with international market demand and after a number of years of successful sales, sold the the company to 3M. -RPA helped to develop a patentable electrically grounded product for all flooring applications along with a manufacturing process. -RPA assisted with the installation and commissioning of manufacturing equipment along with the development and establishing of processing parameters. Results: The manufacturer has a product that has been sanctioned for use by both Shaw & Mohawk Flooring who in turn have allowed the manufacturer to participate in their, by invitation only, distributor trade shows. The manufacturer has now signed up a number of distributors in Europe and North America thus increasing overall sales.